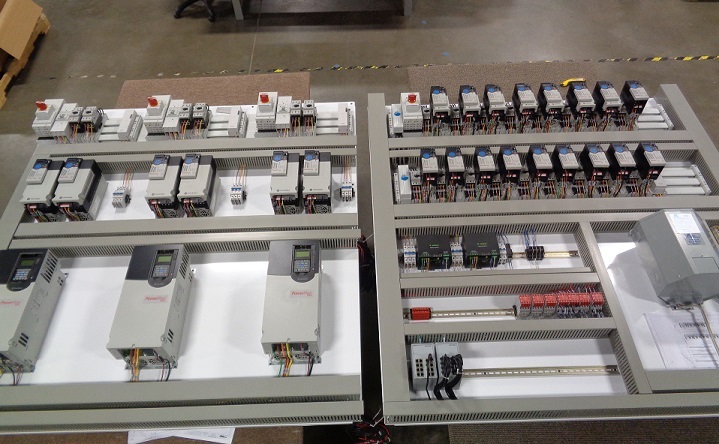 At Aspen Automation, we pride ourselves in the ability to service any need within the controls industry. One such service is our Electrical Panel Shop. 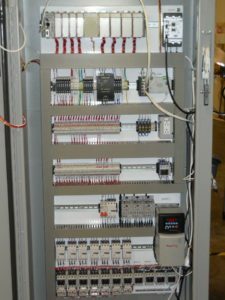 Aspen offers numerous panel solutions from designing, building, and installing electrical packages to assembling clients’ complete, custom-engineered systems. We offer fast competitive quoting, professional and accurate work, and great vendor relationships to reduce lead times and ensure smooth installations. Our 9,000 square foot electrical shop within our 30,000 square foot facility can handle everything from large-scale projects to weekly production. This begins with precisely measuring the control cabinet’s back plate and marking locations of holes to be cut or drilled and tapped for mounting wire duct, din rail, and major components directly in the panel. After holes are drilled and tapped, the back plate is thoroughly de-burred and vacuumed to eliminate all residual metal filings and debris that could potentially contaminate delicate, expensive electrical parts. Close attention is given to ensuring provided parts meet or exceed specifications called out on the bills of materials (e.g. amp ratings, horsepower, make, model, etc.). All components are carefully unpacked and mounted according to the exact locations shown on the layout prints. Components are labeled with terminal markers and device tags to uniquely identify each item for ease of wiring and troubleshooting in the field. 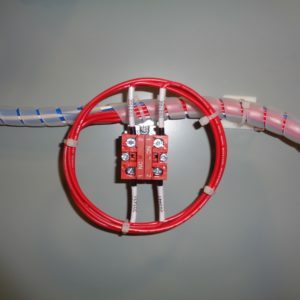 Following NEC guidelines and utilizing the most advanced electrical methods available, each wire is cut to length, labeled with source and destination (or wire number), and the ends are ferruled to enhance connection integrity. All terminations are made with great attention to detail, and tags are placed facing outward, easy to read. Labels are located in a uniform manner so each panel is not only electrically functional but also aesthetically pleasing. Every panel built at Aspen Automation is thoroughly checked for accuracy. 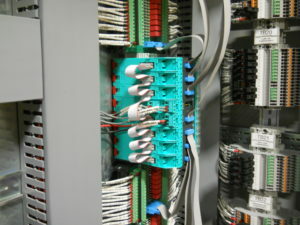 Each wire termination is verified for correct placement and positive contact to conductive surfaces. Whenever possible, panels are powered up and functions are simulated for verification. If the entire machine is present, the unit is tested live for proper performance. All of the operations are test-run for at least one hour to confirm correct functionality. Finally, updated electrical schematics, component documentation, and a copy of the final inspection sheet are placed inside the enclosure. Careful steps are taken to ensure the safety of all components during transit. 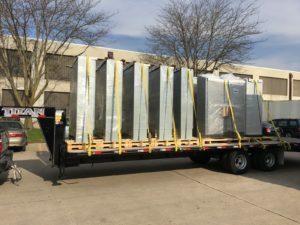 Panels are placed on appropriately sized pallets and/or secured within custom-built crates for transport. The finished product is then shipped via the customer’s desired method or we can gladly deliver locally.